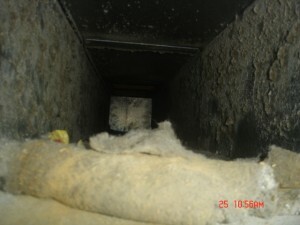 Failure to clean dryer ducts is the leading cause of dryer duct fires. This is a simple step homeowners can take to protect their homes and families. Many of the new homes being built in Michigan are putting the laundry dryer in hazardous places and away from outside walls (bedrooms, second story hallways, bathrooms and kitchens). 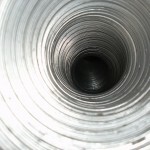 Although these locations are typically more advantageous for the homeowner, they are much longer dryer duct runs. The longer the run the harder it is for the laundry dryer to exhaust the fumes causing dangerous buildup. 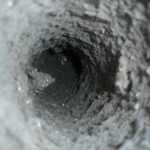 An easy fix to this worrisome problem is to get your dryer vent cleaned annually by Amistee Dryer Vent cleaning in Michigan. Call Amistee today at 248-349-8877 or go directly to the “contact us” page and contact Amistee via the internet. 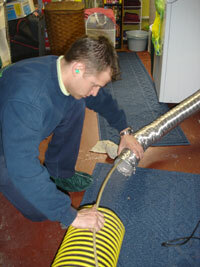 Annual dryer vent cleaning will reduce the amount of time it takes to dry a load. A dryer with a blocked vent can take 3 to 4 times as long to dry costing upwards of $3.00 per load compared to $.75. If your dryer is unable to let the hot air escape properly it will produce an unsafe amount of heat. This becomes a huge fire risk. Amistee Duct Cleaning provides southeast Michigan with professional dryer vent cleaning with certified and trained technicians. Call Today for a FREE ESTIMATE 877.349.8877. Here is some additional information from the State Fire Marshall. December 13, 2005 – The Bureau of Construction Codes & Fire Safety (BCCFS) is reminding homeowners the importance of cleaning out their dryer’s vent. 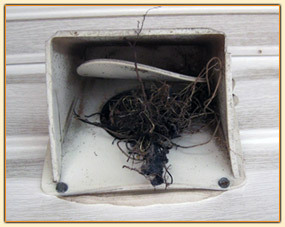 Most dryer vent fires start with a buildup of lint, which blocks the flow of air and ignites when it becomes too hot. In the most recent year that data is available, 2004, there were 425 dryer fires resulting in 6 injuries and 1 death in Michigan. 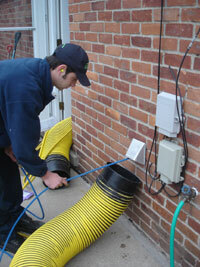 The easiest solution: clean dryer vents regularly or have them professionally cleaned. Make sure that the dryer is operating properly. Make sure that the filter has been cleaned each time a new load of clothes is dried; also, check the outside exhaust to see that air is escaping normally. If there are any signs that the dryer is hotter than normal, the temperature control thermostat might need servicing. “One of the first signs that there may a problem is the dryer will be hot, however the clothes will not be getting dry,” said Tennison Barry, Chief, BCCFS Mechanical Division. 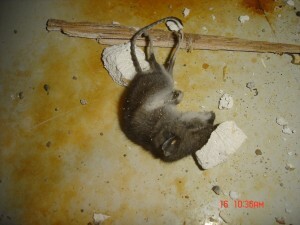 Is there anything worse than having a service professional in your home and having to deal with their odor? Amistee Air Duct Cleaning and Amistee Insulation is always improving on its services and that is why they are now offering a “smoke free” technician to its customers. Customers should not have to wonder if the technician coming to their home will smell like smoke or not. Many people are sensitive to certain smells and cigarette smoke might be one of them. 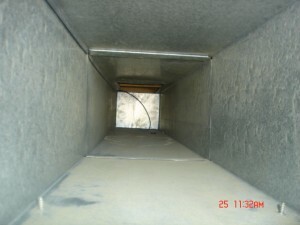 Vent cleaning and air duct cleaning works when it is done properly. Amistee services the entire South East Michigan area for air duct cleaning, dryer vent cleaning and insulation installation. 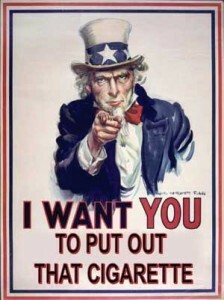 Making Amistee a smoke free workplace is just one more thing making them the best air duct cleaning company around. If you are wondering about the price to clean your ductwork, call Amistee at 248-349-8877 to service your home in Metro Detroit.